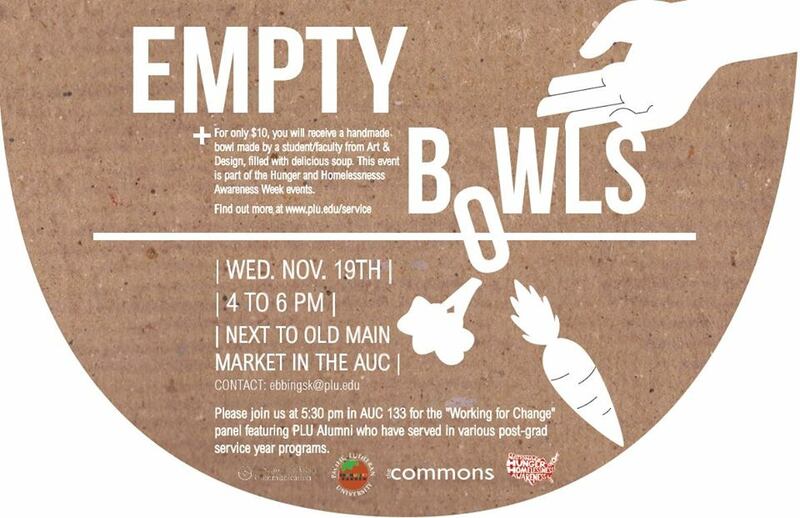 Description: PLU Center for Community Engagement and Service Presents: Empty Bowls For only $10, you will receive a handmade bowl made by a student/faculty from Art & Design, filled with delicious soup. This event is part of the Hunger and Homelessness Awareness Week events. Please join us at 5:30 pm in AUC 133 for the “Working for Change” panel featuring PLU Alumni who have served in various post-grad service year programs.